Why would you not use generic medicines, biosimilar medicines or value-added medicines? There is a very simple and obvious way to reduce pressure on healthcare budgets and help ensure the sustainability of European healthcare: increase the uptake of generic, biosimilar and value added medicines. They already massively increase access to medicines (or have the potential to do so) without raising overall treatment costs, and can play a much greater role in improving treatments and health outcomes. Everybody knows there are very significant opportunities to switch from high priced branded medicines with equally effective but much lower cost generic, biosimilar or value added medicines: so why don’t we do it? 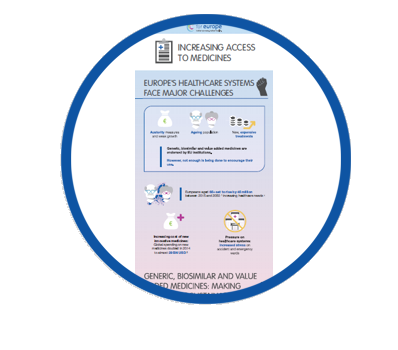 The Access to Medicines project aims to make the case for ensuring the sustainability of European healthcare systems, and a common-sense approach to make use of the opportunity that generic, biosimilar and value added medicines do and can bring. Because of austerity measures and weak growth, our ageing populations and rising healthcare costs due to new, expensive treatments, European healthcare faces unprecedented and growing pressures. 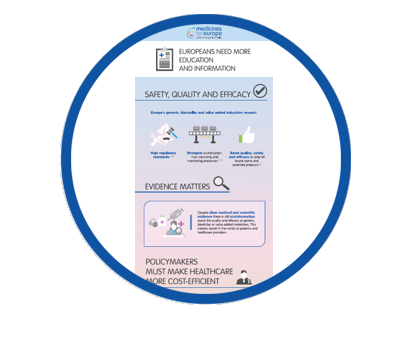 To successfully address this challenge policy makers must recognise the fundamental importance and potential of generic, biosimilar and value-added medicines in ensuring the sustainability of European healthcare and enabling more patients to access treatment (up to 100% more/doubled access). So policy makers should face the reality that there is a cost of inaction in terms of undermining access to health. 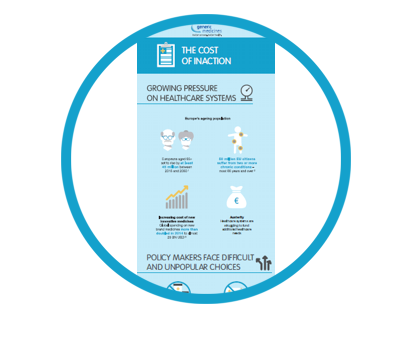 Healthcare systems are under intense pressure to do more with less. The Council of the European Union and the European Parliament have already underlined the importance and potential of generic medicines in increasing access to healthcare and ensuring the sustainability of European healthcare systems. Twice as many patients were able to be treated with no increase in the drugs bill thanks to competition from generic medicines. Without generic medicines this access would have cost an extra €100 BN every year. The understandable desire to reduce cost must be balanced against the need to ensure the economic viability of the industry. 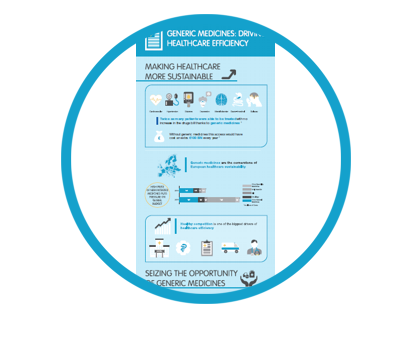 Without a fair and sustainable policy and regulatory environment, the industry will not be able to invest and continue to expand our generic products portfolio (62% of medicines dispensed in EU are generic medicines) offering improved patient access. ANIMATED GIF: WHAT ARE THE RISKS CAUSED BY GOVERNMENT PRICE PRESSURE ON GENERIC MEDICINE MANUFACTURERS? 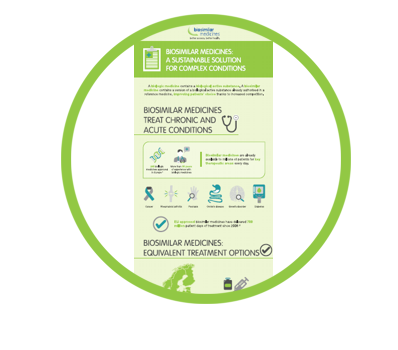 Biosimilar medicines increase access by offering high quality, budget friendly equivalent treatment. More and more biosimilars are coming onto the market – healthcare providers and insurers should do much more to ensure they are taken up by health systems as a way to increase access, which can be more than doubled with the use of biosimilar medicines. ANIMATED GIF: WHAT CHRONIC AND ACUTE CONDITIONS ARE TREATED BY BIOSIMILAR MEDICINES? ANIMATED GIF: HOW CAN WE REALISE THE BIOSIMILAR MEDICINES POTENTIAL? Policy makers need to better understand the effective role that value added medicines could play in improving health outcomes. Value added medicines apply new insights and technology on known molecules and better options to improve the efficiency of care through drug repositioning, drug reformulation or drug combination. 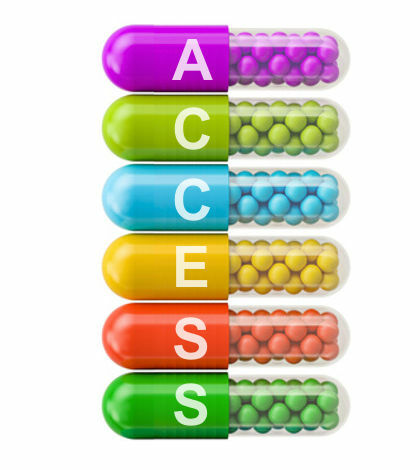 Through innovation we can improve patient access. 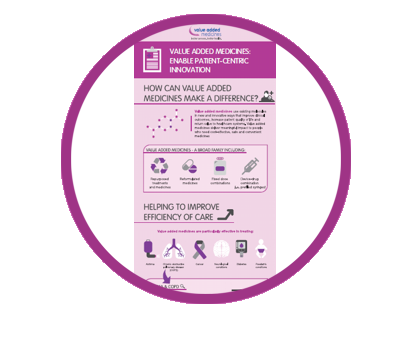 ANIMATED GIF: HOW CAN VALUE ADDED MEDICINES MAKE A DIFFERENCE? ANIMATED GIF: WHAT ARE THE THERAPY AREAS COVERED BY VALUE ADDED MEDICINES? 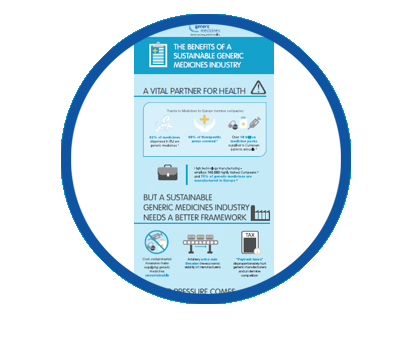 Generic medicines provide an outstanding opportunity to increase access to essential, safe and effective medicines while ensuring the sustainability of healthcare systems. Many countries have succeeded in achieving very high rates of generic penetration – but others have not. Growth in market share of generics could increase access to healthcare for citizens. Generic medicines only represent around 4% of the healthcare budget but help treat 80% of patients. To block competition, a lot of unwarranted fears have been put forward regarding generic and biosimilar medicines. In a heavily regulated market such as Europe, generic and biosimilar medicines on the market are just as safe and effective as branded drugs. In fact, European pharmacovigilance data and post-market clinical data fully confirm this. Clearly more information and education is needed about the benefits of these medicines. ANIMATED GIF: SAFETY, QUALITY AND EFFICACY – NOTHING ELSE MATTERS? ANIMATED GIF: WHAT POLICYMAKERS SHOULD DO TO MAKE HEALTHCARE MORE COST EFFICIENT?